A Canadian citizen or permanent resident can sponsor their spouse, common-law partner or conjugal partner for Canadian permanent residence. This may sound simple, but the process can be difficult, with complications and delays. What type of Application you should submit? For spouses or common-law couples ready to pursue Canadian spousal sponsorship, the process can be daunting. One of the first decisions to be made is whether to pursue the “inside Canada” or the “outside Canada” spousal sponsorship process. If the applicant being sponsored resides outside Canada and will continue to do so until the sponsorship is finalized, the “outside Canada” process must be chosen. Sponsored spouses who travel back and forth to Canada often will also likely select the “outside Canada” process. Spouses who wish to stay in Canada throughout the process may benefit from filing an “inside Canada” application. A major advantage is that this process allows the sponsored person to obtain a Canadian work permit upon “first-stage approval”. In some cases, an “inside Canada” application may also serve to prevent deportation for an applicant who is in Canada without status. However, applicants who submit an “inside Canada” application do not have a right of appeal if the application is refused. 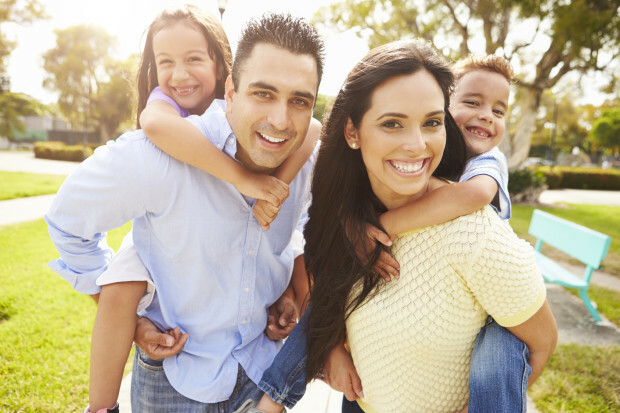 An experienced immigration lawyer can help you to determine which process is best for you. While the application process is technically divided into two stages, the sponsor and applicant will fill out all their paperwork at the same time and include it within the same application package. All documents on Citizenship and Immigration Canada’s checklist must be provided from the outset, and all forms must be properly completely. If documents are missing or mistakes are made, the application will be returned without being processed. default or a serious criminal conviction. A person sponsoring their spouse or partner does not need to meet a minimum income threshold. However, the sponsor must undertake to provide for the sponsored partner’s basic needs and ensure that they do not use social assistance for a period of three (3) years, and ten (10) years for any dependent children. This second stage involves an evaluation of whether the spousal relationship is genuine, and whether there are any inadmissibility issues that would bar the applicant from becoming a Canadian permanent resident (e.g. medical or criminal inadmissibility). The current government has made it a priority to combat “marriages of convenience” that are entered into primarily for immigration purposes. The officers who evaluate spousal sponsorship applications are on the lookout for signs that a relationship is fraudulent. Where the officer has concerns, the applicant will be called in for an interview. If the applicant cannot successfully address the concerns of the visa office, the spousal sponsorship application will be refused. In the case of relationship breakdown, the sponsored person may not sponsor a new spouse or partner for a five (5) year period. How to deal with refused cases? The other option, for applications that were submitted from outside Canada, is to appeal the refusal to the Immigration Appeal Division of Canada’s Immigration and Refugee Board. Sponsors have the right to go before an independent Immigration and Refugee Board decision-maker to argue why the refusal decision should be overturned. The sponsor may present updated evidence to show the genuineness of the relationship. If your appeal before the Immigration and Refugee Board is unsuccessful, it may be possible to seek judicial review before Canada’s Federal Court. The appeal process is long and arduous. It is currently taking up to two years to receive a date to appear before a decision-maker. This prolonged period of separation and uncertainty can be incredibly difficult for couples. How an experienced immigration lawyer can help you? The spousal sponsorship process can be long, complicated and stressful. Our team of experienced immigration professionals will assist you every step of the way. We will help you to avoid the significant delays that can be caused by omitted documents or improperly -filled forms. We will also help to make your application as persuasive as possible. In other words, we can help to maximize the chances of success. This has the potential to save you significant time, money, strain and separation in the long-run. If your application is refused, our team can help you determine whether it is worthwhile to pursue an appeal. If you do choose to file a spousal sponsorship appeal, we will help you navigate the process, put together strong supporting evidence, prepare you to testify, and advocate for your rights before the Immigration and Refugee Board and/or the Federal Court. Please contact us at www.fridman.ca to set up a consultation appointment. We would be happy to speak to you about your spousal sponsorship matter.